White Birch Park in Hazelwood, Missouri, is a new aquatic facility, which replaced the city’s existing outdated lap pool. The new aquatic facility, designed by Counsilman-Hunsaker with Capri Pools, has over 16,000 sq. ft. of water. 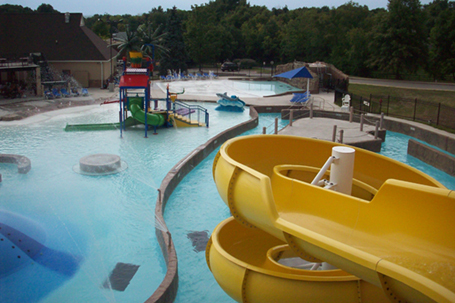 This state-of-the-art, resort-like aquatic park offers many exciting amenities to the community. The project began in September 2007 and opened in July 2008. By incorporating aquatic features that haven’t been seen in the St. Louis area or even the United States, this facility will be a state-of-the-art park for the community to enjoy for many years to come.